Been shopping? 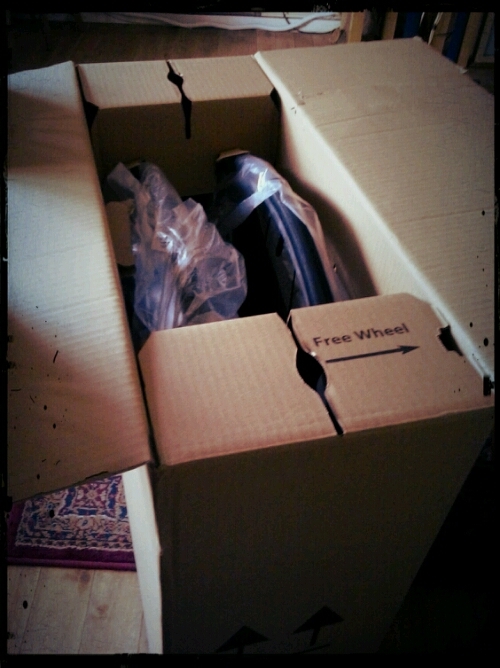 For the first time in about 20 years, I have bought a new pair of wheels for a racing bike. Previously, all the wheels I have, were built using hubs with replacement rims. Sometimes, the bearings needed renewing, sometimes just packing with grease. They can be re-used many times so the layout cost can be spread over a decade. The bike is quite old with its 8-speed cassette. So. I may have to fiddle with this wheel set which was designed for 11-speed gears. The local bike shop said they will work with 8-speed using two spacer washers. 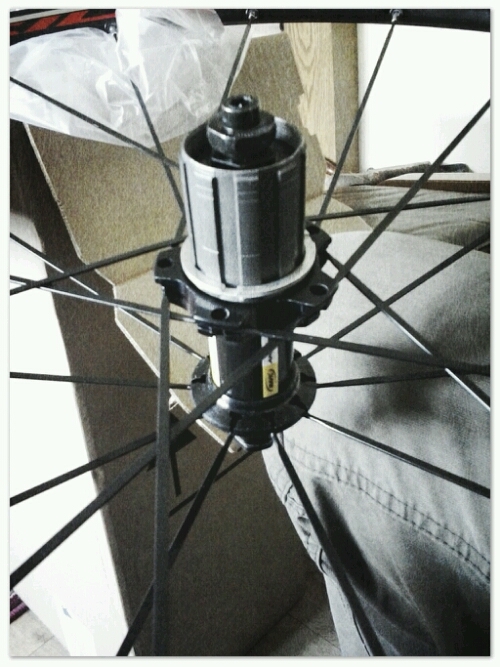 They are Mavic Aksium wheels. This rear hub is laced with 20 spokes, straight laced on the left, and 2-cross on the right. The front is all straight laced. Each spoke is a flat blade with no bend, which is the point where they might break. I tend to break spokes. The pair feel light to me and ring clearly when tapped. That should mean they are well built. More later, I can’t fit them today anyway. This entry was posted in Cycling and tagged 700x23c, cycle components, Cycling, Mavic wheels. Bookmark the permalink.